At the time of making the structure function, must be distinguished between pure design (original design) with the redesign (adaptive design). 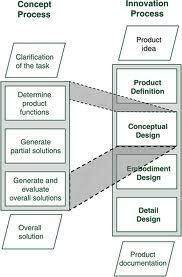 In pure design that became the basis of the structure and function is a major problem specification, currently in the design begins redesign of the structure functions are then analyzed. This analysis will provide the possibility for the development of variations of the solution in order to obtain new solutions. a. Finding a solution to the whole principle of the function or functions of the most important part of the structure function. b. Selecting the effects of physics, chemistry and others in an effort to obtain a solution principle. The principle of solutions (Principle solution), usually in the form sketches, diagrams, circuit or description. These technical specifications and diagram details are well evaluated. Thanks for the post.